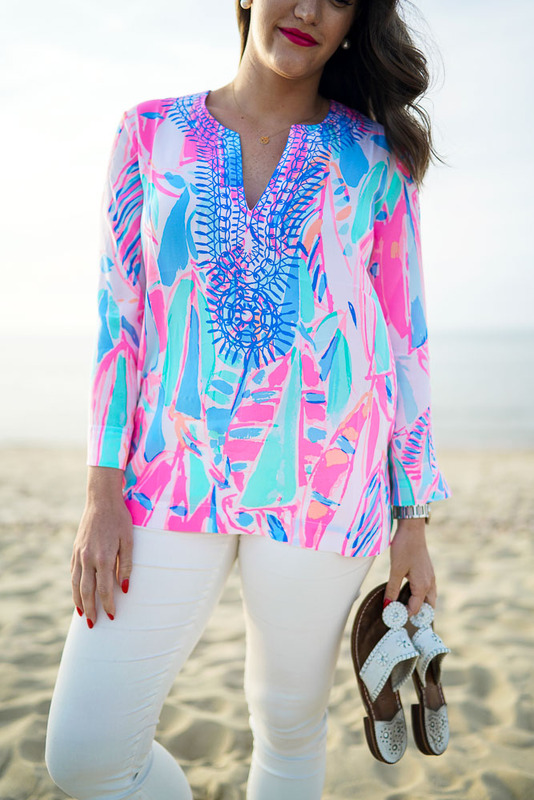 Is there anything better to wear in Nantucket than Lilly Pulitzer? The brand epitomizes chic travel and beach attire. What more could a girl ask for! 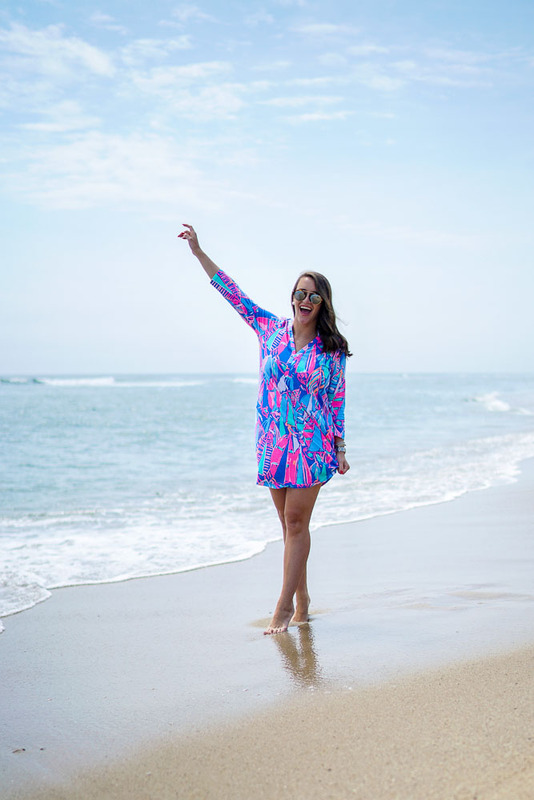 Today I want to share TWO new Lilly Pulitzer looks with you guys from my most recent trip away! 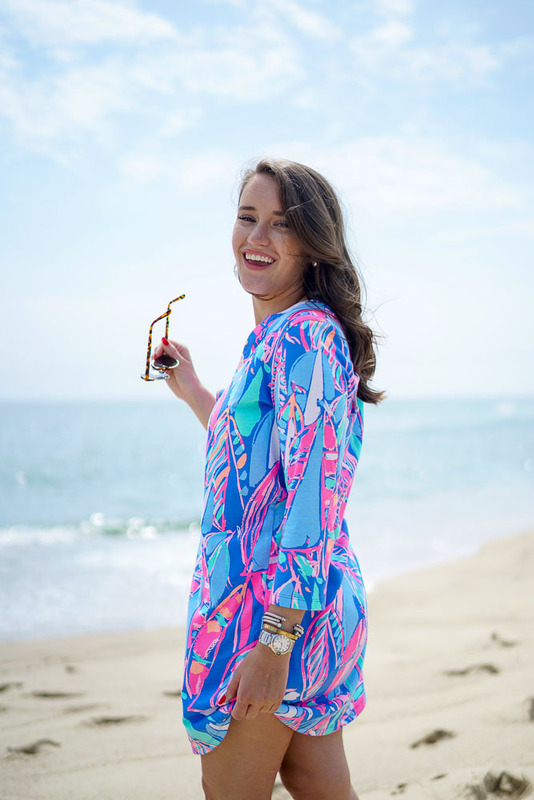 My first look you guys have seen briefly before for the Lilly GWP event! 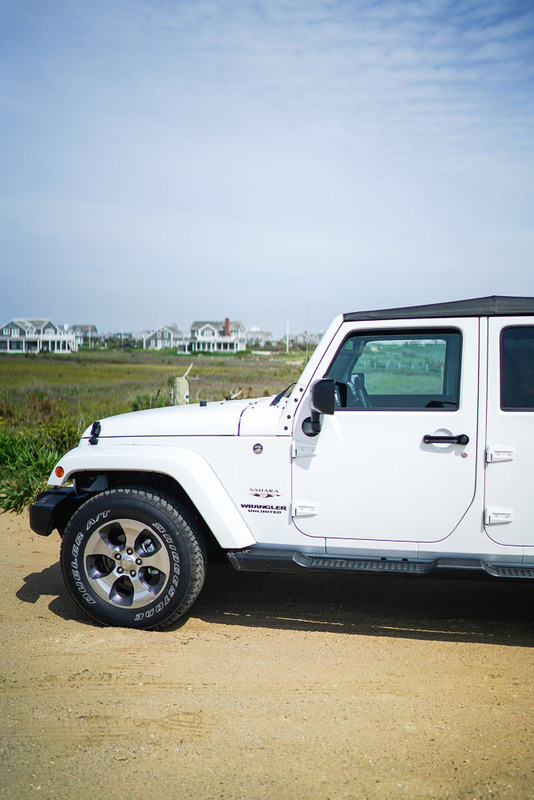 I brought it back out for my trip to Nantucket and our time at Cisco Beach. 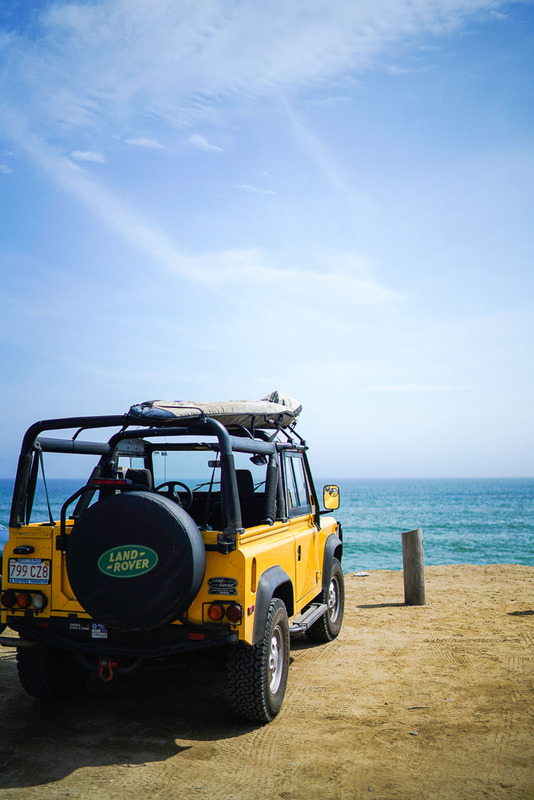 Every time I visit Nantucket, Andrew and I make sure we make time for a beach day at Cisco. It's our very favorite part of the entire island -- between the homes, the brewery (more on that later this week) and the beach, there is nothing not to love! This year the water was a bit colder than the last few times we've been but the weather was perfect for our day there so I really couldn't complain much. This beach is known for it's surfing but I always remember it because of the sea lions! They are too cute and come really close to shore. Just long enough to say hi! This dress was perfect for the day -- casual, comfortable and extremely versatile. I wore it out for brunch with a jean jacket, to the beach as a cover up and to dinner as a casual dress. It was perfect all day long and the best part is, it's under $100! For my second look, we snapped these photos at Galley Beach during sunset. Galley is one of the best places on the island to see the sunset and I can promise it doesn't disappoint! The beach itself is SO soft and really open to play around. It's a perfect place to grab a drink and dinner while you catch a sunset but this year there was a wedding they day we planned to go. So instead, we caught the sunset at Galley and went to Cru for dinner! 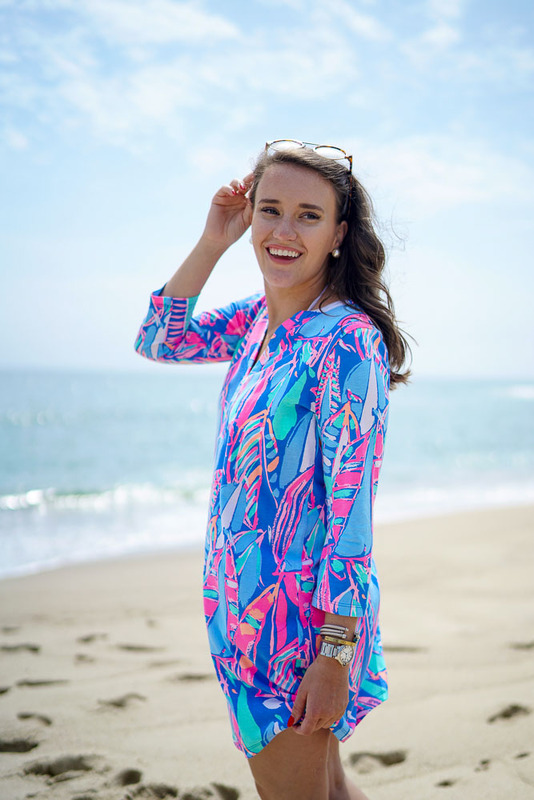 I wore this silk tunic for both things and it was perfect. I love how it looks with white jeans -- you can do no wrong! 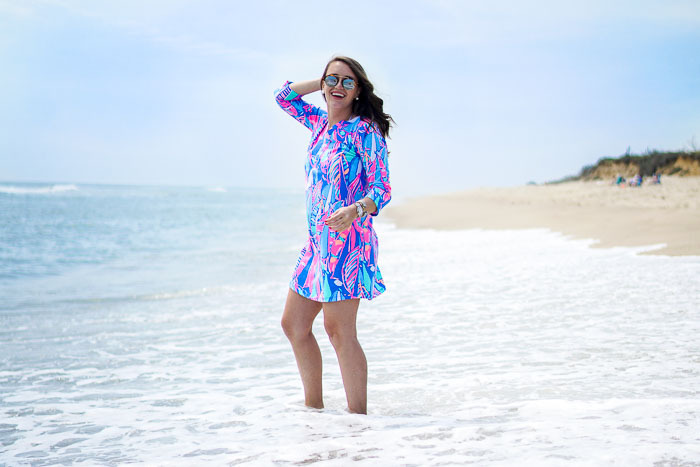 So if you ever have the chance to head to Nantucket, be sure to pack your Lilly Pulitzer! Love how you styled these pieces, they're so cute! 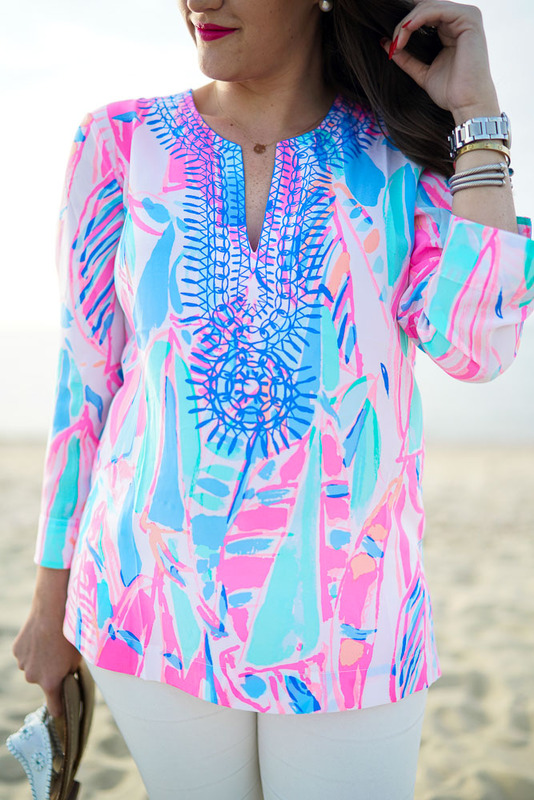 I absolutely love that print! 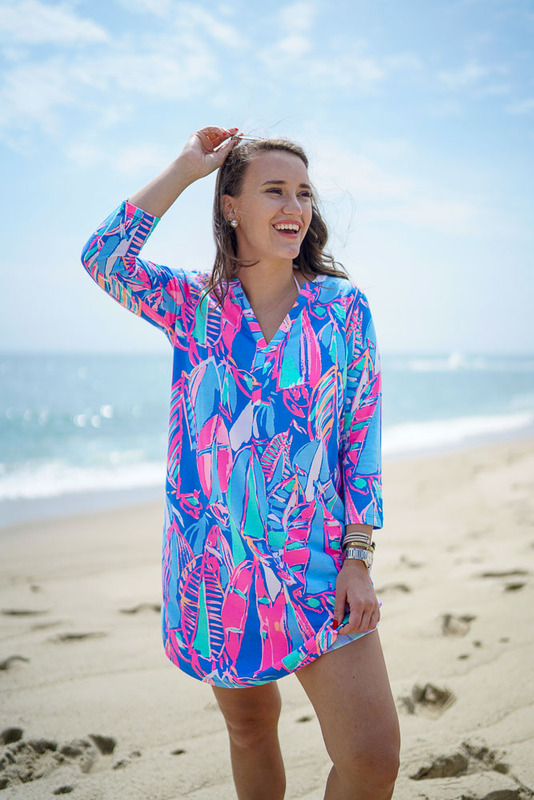 The tunic is my favorite, you have a great sense of style.